If you are seeking a streamlined utility to capture and process your videos then VirtualDub is your best bet. VirtualDub editor and converter allows you to batch process your AVI files. You can even apply filters to your videos and tune your codecs in order to get high-quality results. While the utility is not as feature rich as others available in the market, but it is able to get the job done when it comes to linear modifications over video streams. The application relies on suitable audio and video codecs to process the files. Though the multimedia application is aimed at managing AVI files, it is even able to successfully read BMP images and MPEG formats. 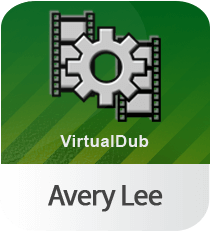 Download VirtualDub for free to enjoy essence of an efficient video capturing and processing software. The interface of the application is standard, yet intuitive. Just after opening a video file, VirtualDub for Windows allows you to cut, copy, and crop various sections. Apart from applying filters, its lets you adjust AVI output, change frame rates & color depth, wave input buffering, recompress, and do a lot more. One distinctive feature that makes the utility really amazing is that it is able to capture video streams to AVI format in conjunction with sound. Besides, it also allows you to create videos by putting together a series of targas aka Truvsion TGA or BMPs, accompanied by sound. On top of that, you can easily extract audio tracks from video clips; however, an extra amendment to the audio stream is only possible with the use of an external program. Free VirtualDub is an extremely simple and efficient video capturing and processing tool. This simple streamlined tool can be used to apply video filters, batch-process AVI files, and tune codecs to enjoy high-quality videos. Being a portable utility, you can move it on any external device and use it on any computer. very useful if you work mostly with AVI files, like i do. can be used with a lot of video effects. the bitrate and frame per second can be specified, and the frame size too.